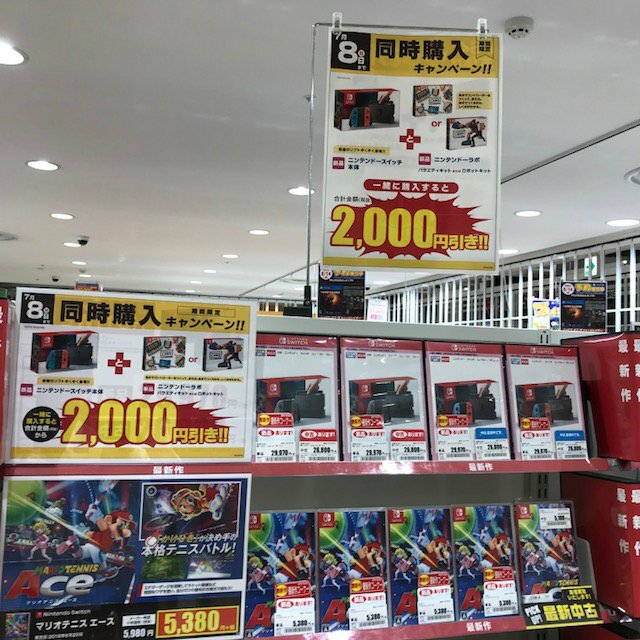 Switch and Switch software will sell A LOT during holidays. Mario Party will do wonders in December. Awesome. I was hoping someone would remember what I was thinking of. Thanks! Game quality aside, Gust uses Koei Tecmo's engine/tech and presumably has access to support and technical expertise beyond their own employees. As I recall their output was much more like Falcom's when they were independent. Just looked at the New 2DS XL bundles, and they're kind of a disguised price drop. Funnily enough, the game comes pre-loaded on SD Card (like the other bundles by the way), so still no retail release for Minecraft New 3DS proper. Safe to assume there will not be one now that Switch version is out. Something I noticed about this bundle is that the design on the console is same one as the EU bundle... they even left the title in English on the console itself. Interesting move, to say the least. Definitely will not compensate for the DQXI effect from last year, but still enough extra sales to be worth it. Surprised they are finally attending after all these years. Not easy to sell nintendo lab now. I’m confused, isn’t it just a promotion for a single day (july 8th)? Until* the 8th of July. Thats true. I just mean that those type of deals are usually tied to single games, and shouldnt affect the overall support for one platform. Nintendo likely has a deal with Square Enix regarding Octopath Traveler for example, but Square Enix is still supporting other platforms. Thats why i dont think this is a bigger factor to Switch's support overall, in my opinion. Well, looks like I will see the end times this year up front. Switch is more directly competitive but who knows, maybe someday we’ll see MS loosen up again and allow Nintendo handheld sublicensing. I think there’d be a market for things like Rare Replay or Blue Dragon on the platform without necessarily taking space from the Xbox platform. Just make AOE 4 for Switch. PS4 will be getting a Yuuna and the Haunted Hot Springs roguelike RPG on November 15, 2018. 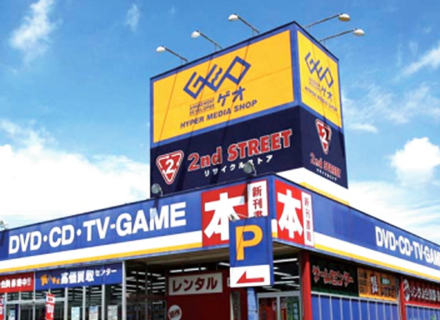 The game is published by Furyu. Another 7980 yen game. Sounds pretty expensive to me for an anime license game, but Bandai Namco does it too, so I guess it doesn't matter. Hopefully it's good. Ya super Mario party I predict a minimum 120k FW. Could go up based on advertising. FuRyu also did that To Love-Ru game on the Vita, this Yuuna-san game is probably going to be similar. VN + repetitive action rpg (or drpg in this case) + creepy touch stuff. If Bravely Default is the base for Octopath Traveler sales it won't disappoint. adding Preggo ending= guaranteed sales lol. That is literally what makes those otakus buy this kinda of game lol. Give them something they can't obtain in real life? I'm expecting Super Mario Party to open closer to Mario Party 9 (160k) and Island Tour (135k). I think Star Rush and Top 100 first week suffered from oversaturation on the platform. Super Mario Party being the first MP on Switch and a return to the traditional gameplay should see a considerable boost in sales imo. So we're looking at a ~150k debut potentially? Yomawari: The Long Night Collection for Nintendo Switch, which features both Yomawari: Night Alone and Yomawari: Midnight Shadows, has been confirmed for Japan today btw. Coming 25 October, which is the same week as its international release. I didn't have the problem and it's already fixed it seems. They were definitly faster with patches on Switch (on version 1.03 now) than on the other systems. I can understand the anger about localisation problems with all versions, but the Switchversion worked fine for me and i play it since day one. The Switch port isn't garbage though. I mean i'm not a NIS fan, i would take it with joy from XSeed, but the game itself is good and the Switchport ok.
Haha. Indeed lol. I mean, there is a reason why bokuimo and Toradora Vn game is damn popular lol. Preggo ending. Anybody expecting sales to drop to 40k? Since the last 2 weeks had boosts to 48k with post e3 boost and 2 new games boost. Yeah. Hoping it will stay above or around 40K before getting a nice boost the week of octopath. Of course they are. The year I can't go. Figures. That means Octopath can aim at 300k units? I was expecting a smaller debut but better legs than Bravely. Any expectation from Etrian Odyssey X? Nintendo at TGS, the England football team winning a penalty shoot-out... I'm gonna go stock up on canned goods. Maybe having a bigger presence at TGS highlighting some japanese partnerships would be a nice way to garner some goodwill towards them. Don't know why they're so against it. Sony has a full conference there, and a booth, and every year they have their awards ceremony to celebrate the third party games that did well. They're putting in the work. I mean Nintendo is only going to attend business meetings as far as I am aware. Iirc, TGS was once a Sony-helmed event, at least, there's been some connection between TGS and Sony. That and because Spaceworld existed were pretty much good reasons for Nintendo to skip TGS ... what's keeping them away now, dunno though. I guess they'll keep doing business meetings and maybe a Direct around TGS time, but i don't see them becoming an exhibitor in the near future. Good will from who and for what ? Every relevant JP publisher already is on board and has released games for the system...the time for some kind of lips service is over and people only care/want announcements of games they can actually play soon and not for forum list-wars. There is nothing that could come out of this that would have a bigger impact than the same announcement on a Direct or Nintendos fall lineup conference. Publishers who are on TGS will obv. highlight their Switch titles on the showfloor as well. Sony is better in third parties' relationships and Sony needs third parties more than Nintendo. Looks like Dragalia Lost has hit 300k pre-registrations on July 2nd. I can't find a confirmation by Nippon Ichi Software (they haven't posted about the game at all), but Famitsu definitely presents it as one. With download-only games, they usually explicitly say it's a "Nintendo Switch用ダウンロードソフト". They did that as well when NIS announced Penny-Punching Princess and The Longest Five Minutes for Switch in Japan (link). 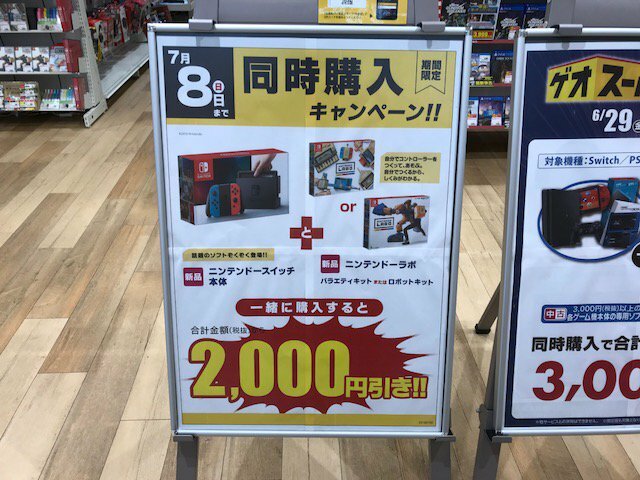 It has a price of 6980 yen (7538 yen tax included) mentioned in the article, which is the normal retail game price for a Switch game by NIS. So yeah, 99.9% sure it'll have a retail release, but not 100%. After Fire Emblem Heroes, I'm disappointed that Dragalia Lost doesn't appear to be as much of a worldwide effort for Nintendo.